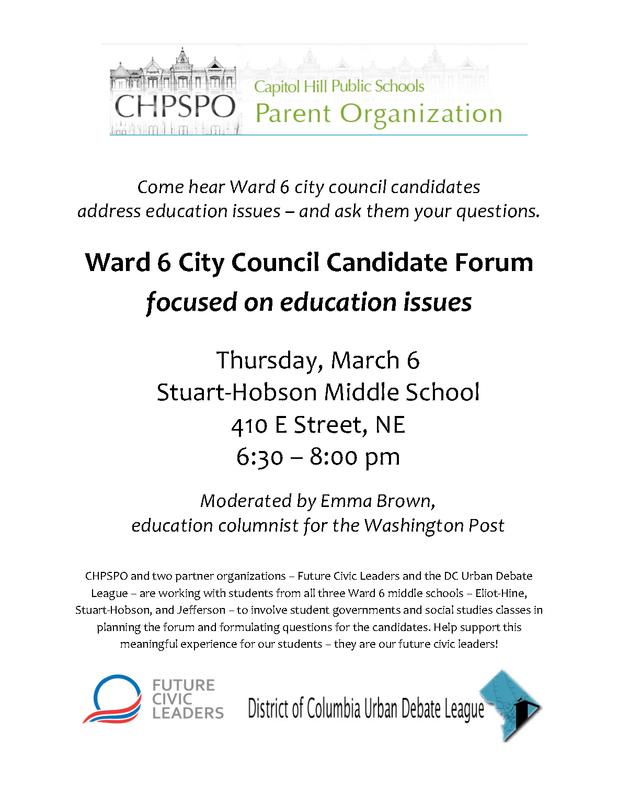 Hosted by a coalition of citywide supporters of Six Principles for Public Education in DC. 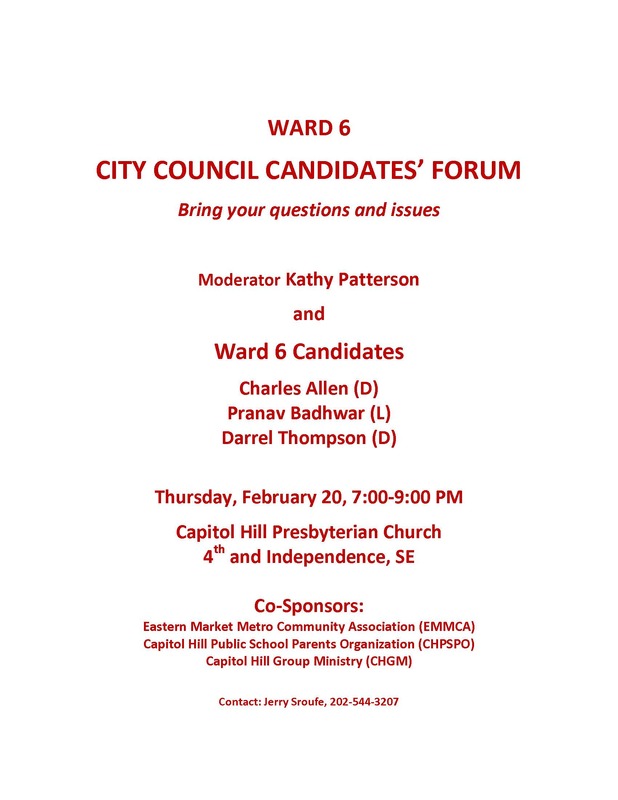 Come learn more about the Ward 6 candidates for DC State Board of Education — and ask your questions about their views on policies & standards that affect DC schools. Mark Naydan is a public school teacher in Prince George’s County and a Ward 6 resident for more than two decades. He is committed to the spirit of the decision of Brown v. Board of Education, and desires a high quality education for all of our residents. He has been teaching high school in his current position for 10 years. He has taught in five countries and is dedicated to excellence in teaching. He is secretary of his school’s PTA and is involved in the National Education Association. He is a volunteer tax preparer and is active in his church. Joe is a proud father of 4th and 2nd grade students at Maury Elementary School. He has worked with community members to develop and implement the Ward 6 Middle School Plan and has served on the Eliot-Hine Middle School collaboration team, the Office of the State Superintendent of Education’s (OSSE) Title I Committee of Practitioners and the board of two non-profits focused on expanding after-school programming. His years of service and advocacy to improve our child care and educational systems across Ward 6 means he knows and understands the educational issues impacting Ward 6 like few others.